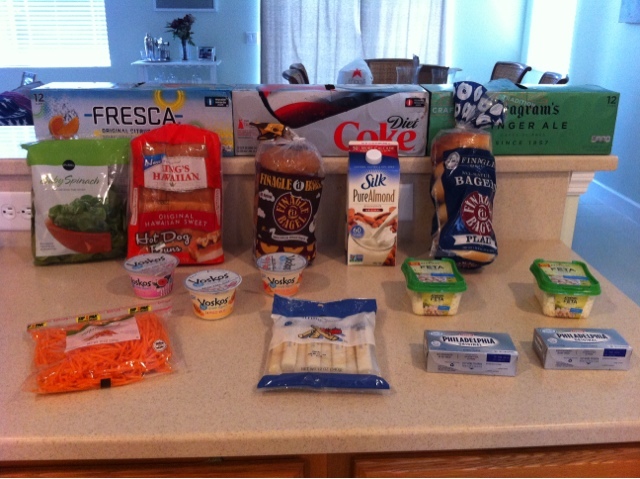 Tobins' Tastes: Saved 64% at Publix- Dairy & Carbs! I have been a couponing machine lately and it has been nice to do smaller trips more frequently than trying to cram everything all into one trip. As I have mentioned before, my neighborhood is located near a couponer's paradise of an intersection with a Publix, Target, CVS, Walgreens, Walmart, Sam's, and more located on its four corners. This allows me to hit up the stores more frequently since I don't have to burn any gas to do so.